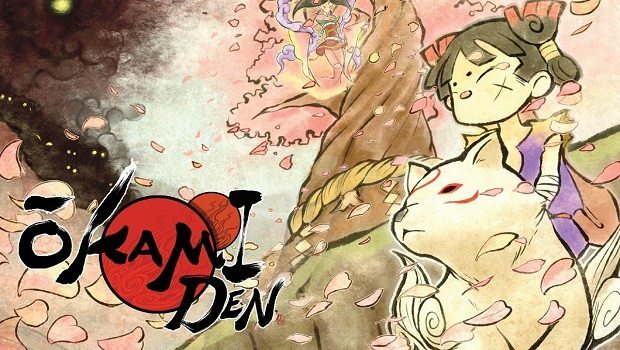 Okamiden, the anticipated sequel to 2006 cult classic Okami, has today been dated by Capcom for a March release within both Europe, Australia and North America. Set to release across North America on March 15th 2011, with Europe and Australia following on March 18th, the events of the handheld action-adventure sequel take place nine months after the original where we find the Konohana Sprite Sakuya, a character from the Okami, attempting to summon the Sun Goddess Amaterasu. However, the Sprite instead finds that they have summoned Chibiterasu, who is revealed to be Amaterasu’s son. Players will be able to utilise powers seen within the previous title, such as the Celestial Brush, yet producer Eshiro explains that Chiberatsu is a “young form of existence” and has not yet acquired the powerful capabilities of his mother. Chiberatsu will therefore team up with a number of partners to aid him on his quest. To celebrate the confirmation of the release date, Capcom have launched the Goblin Mask Facebook app, alongside a contest in which players are provided with the opportunity to win a multitude of prizes including a 3DS, copy of Okamiden, Chibiterasu plushies and other cool prizes whilst testing your painting skills at the same time. The app itself is based upon an in-game challenge that Kuni and Chibi encounter in the Demon Market, where they are tasked with drawing a face on a cloth in order to pass through without being recognised. Finally, a North American pre-order bonus has been announced, available from GameStop. The first 20,000 to pre-order the title will receive a touch screen instrument in the shape of a paintbrush and a custom screen cleaner featuring original game art of the adorable wolf pup, Chibiterasu and Kuni, a young swordsman.